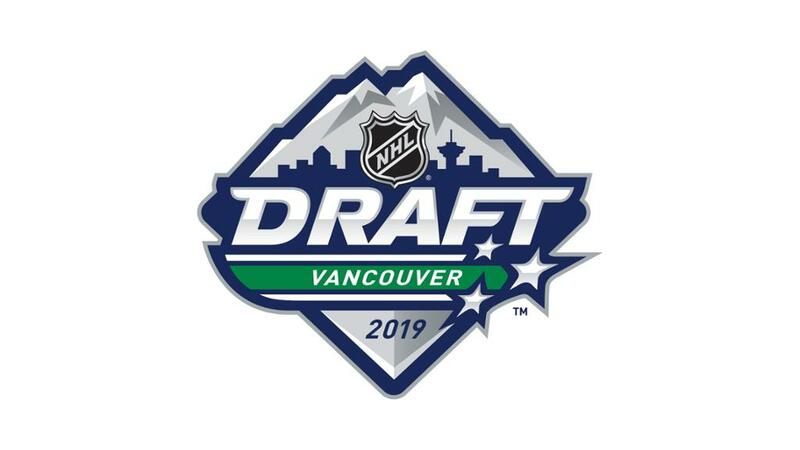 As we look ahead to the Chicago Blackhawks making the third overall selection in the 2019 NHL Draft, we continue our profile series of the players who might be on the Hawks’ board. We previously looked at Dylan Cozens. Now, let’s turn our attention to Russian forward Vasili Podkolzin. Podkolzin can be used to anchor the lead penalty-killing unit or run the power play from the half wall. He is confident with the puck and shows a tremendous amount of poise while controlling it. He’s quite coordinated and has soft hands to handle tough passes, plus Podkolzin hits the net with the majority of his one-time attempts. Without the puck, he’s a crash-and-bang forechecker with powerful leg drive that he uses to jolt bigger defenders off the puck. Podkolzin takes direct routes to the puck, and he anticipates eventual avenues of approach to be used by opposing puck carriers. His foot speed, edge work and agility are excellent, and he should be considered a breakaway threat in open ice. 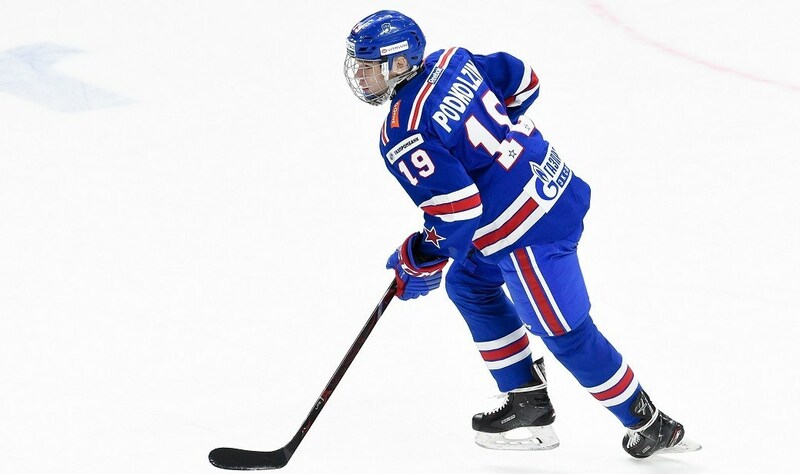 Podkolzin possesses a clear understanding of the game, and his nonstop motor and desire to be the best makes him an asset regardless of whether he’s scoring or not. Keep an eye on his temper and attempts to make big hits. Podkolzin is a good skater, featuring a powerful stride that generates good speed and also allows him to fight through checks and control the puck down low. He has a good first step and above average acceleration. Once he gets a step on a defender he can drop his shoulder and take the puck to the net. Podkolzin has excellent balance and wins battles on the boards and in front of the net. Overall his speed is good but not great, however, the power and balance set him apart. Profiling as a power winger, he works well below the hash marks in the cycle game. Podkolzin can take the puck to the front of the net and has the ability to finish when he gets there. Podkolzin has good stickhandling skills which make him tough to defend in one-on-one situations. He can beat defenders out of the corner, or off the rush. Podkolzin also has very good passing skills with the vision to find open teammates and the skill to open up passing lanes and get the puck through. He creates turnovers and offence through a strong forecheck and by quickly putting pressure on defenders. Podkolzin is powerful and wins his battles on the boards and creates problems in front of the opponent’s net. All that said, the true standout area of Podkolzin’s game is his ability to be a sniper. A natural goal scorer, Podkolzin has a strong wrist shot with a lightning quick release. This release can fool goaltenders and he beats them off the rush. He has shown the smarts to use a defender as a screen when taking this shot. His soft hands also allow him to finish in close to the net. Most impressive though is his one-timer, which is a rocket. Podkolzin finds the soft spot in the defence and gets himself open for the pass. Podkolzin brings high-compete level and an effective defensive game. He is willing to show the same battle in his own end that he brings in the offensive end. Podkolzin fights for loose pucks and supports the defence down low. He uses his stick well to break up plays. Podkolzin has shown his instincts and defensive play on the penalty kill and is trusted by his junior level coaches in key situations. Podkolzin is close to being NHL ready but as mentioned above, whatever team drafts him will need to have patience due to his KHL situation. He could be a first line winger in the NHL, using both skill and power to put up points. While this is by no means a talent comparison, his game and style is reminiscent of Rick Nash. If it is to be, this guy would be perfect fit with 12 and 17 for a future offensive line. No clue where they go at number 3. But if they feel this guy is the best option, they should take him with no hesitation at all. Saw a photo of Podkolzin. You can pretty much see his intensity from his snapshot. That KHL contract pretty much puts the kibosh on drafting him tho. Btw…I said couple months back that the Hawks should chase after Eberle this summer. Hes looking good in the playoffs. The Pens might be shown the door like Chicago was by Nashville. I looked at the roster for SKA St. Petersburg. Datsyuk and Nail Yakupov are on it, Runblad too. If you prefer to stay there to live that’s fine, but to a kid on the rise how attractive is a league where many of the best players are on their way down? Who knows. I’ve never been to Russia, but from what I’ve read the mindset over there is quite different. That’s to be expected given their history. Trust isn’t something that is in oversupply. If we draft this guy we’d better be sure he wants to play here. Top 3 picks (unless you are the Oilers) are generational opportunities. I stand to be corrected, but I can think we have had only three others since the draft was instituted; 19, 88, and that other guy who I don’t even want to mention. We need to get this right. The offensive numbers aren’t really that impressive. His high compete level may mask some skating deficiencies. He reminds me of Klim Kostin. Everyone loved Kostin his draft year. Pretty much a consensus top 10-15 pick. He lit up the Hlinka (sound familiar?) And everyone was in awe of his puck skills, size and skating. But didn’t play a ton, and was hurt in December. 18 total games and only 2 points. The year prior Kostin had 21 points in 30 games for his MHL team as a 16 year old. Podkolzin as a 17 year old had 8 points in 12 games. I think he has a high floor. But the star potential may be a bit riskier. Then again Stan has shown a recent affinity for the risky. Let’s face it, Debrincat was a risky pick. His size and skating were often questioned. Then he made the trade for Strome who really hadn’t shown anything at that point. For Schmaltz who already had a 50 point season and could skate like the wind in a skating league. Cam Barker? He once scored 40 points in 68 games so he wasn’t that much of a bust. And he still was able to get you Nick Leddy. Olczyk and Savard were also number 3 picks. Then have to go back to 1966 and Terry Caffery who played 14 NHL games. Trade what you can to get rid of Seabrook. Include some D prospects not named Jokiharju or Boqvist and draft Byram. Yikes, I forgot about Savard and Eddie O. My bad. @Ernie: I’m going to go ahead and disagree on Barker (I did remember him but I didn’t even want to bring him up). One decent season from a top 3 pick is dreadful. He logged 310 games in the NHL (41 fewer than Sheldon Brookbank), which, from 2000-2014 is the second fewest any top 3 pick (Alexander Svitov was third in 2001 and played 179 games for TB). Massive bust. I have a good feeling about this kid, maybe it’s just me, but I see young Hossa. And as always thanks Tab for the valuable intel. I wish he could play next year, but if we have to wait I say taking the best player, if they think he is, it is worth it. I have read Button from one of the Canadian networks, sorry I can’t remember his first name, has stated he believes this kid is in the Nhl next season. I am trusting he knows more about this than I do. If Stan thinks Cozens is the best player, I won’t cry over that. I think he brings a lot of great traits, and I do like a good center. But I don’t see him playing in the NHL next year anyway, maybe 2 years, so I don’t put fears in Podkolzin’s 2 year deal a deal breaker. If they can make sure he will come over and start he seems like the right pick. Have heard from Button that he’s like a mix of Datsyuk and Rick Nash. Hard to pass up on a player with that praise. Seems like a big drop off from him to a Cozens. Heard he has the best hands in the draft. Could end up being a perfect fit with 12 and 17. Gotta make sure he will come over and stay though or else he’s just a waisted pick. He’s not like a Svechnikov who was highly norh Americanized after playing in the USHL at 17 and OHL in his draft year. Reading all these scouts’ reports, one might get the idea that Pod is a sure thing, some kind of genius superstar in the making. Same goes for Hughes and Kakko, though to a lesser extent, since they’re observed more closely than the Russian. It would be hilarious if Cozens or Turcotte end up outshining them all. I don’t think Hughes is thought of as a generational talent like McDavid or Crosby et. al. And then if he does come over what if he doesn’t like it does he then go back to the KHL? Ernie, interesting you like/say get that top pair D guy over a 1st line center. I would be ok with that. I do not like this player if its not 100%. 25 or 50 or 75 its not worth the risk he comes by 21 and then stays, like that guy said, for career and not go back over out of nowhere. I do not want to take any chances with this top 3 pick Elite Player were getting. I am sure the Organization will know if he is coming over and staying before we would pick him. That said I like the, no shortcuts Elite Player, like Cozens or Byram. They both get us what we need the most. Its our selection of these FW or D guy. We have first pick, so we do not have to settle in anyway. Comes down to center or D guy, if not taking this guy, for what position we want secured for 10 plus coming yrs. 1st line center or top pair Dfensemen. Then what do we add in summer by picking the D guy. Do we still a top 3 prime yrs Defensive Defensemen? or get ufas like Nelson/Zingal. Ernie i tend to go with what Craig Buttons says, as he usually not far off. As far as Kostin he had him going low 1st rd. same as Debrincat right where he should’ve been as high risk high reward pick, and that is still playing out in his career today. Yes comments were made that if he reached his potential his skill would have similarities to Podkolzins, but that isn’t a bad thing. Not saying he should be picked hands down but if Blackhawks do or don’t pick him it will be based on an informed decisions and either way i’ll feel comfortable they are making the right choice on him if that happens. Trade 7 caphit at some point, before young wave needs higher caphits. What seems better and what is easier to get ufas/trade wise, a 1st line center, top pair D guy or a top 6 RW/LW. Yeah, from what I’ve seen of this draft class, there’s a bunch of good, talented prospects with unknown ceilings. For all the hype Top 3 gets, they don’t really Wow me more than Cozens or Turcotte. My personal opinion is (and I obviously could be wrong): I think Kakko and Cozens are the ones who might be more ready to play in NHL next season than the other top prospects. Just a gut feeling. It doesn’t matter how good this guy is if he isn’t going to come to North America. He is quoted as saying he doesn’t want to live in America but maybe he will feel differently when he is a complete player and has a family. Is there any other way of interpreting that than he isn’t planning to come over any time soon? Don’t do it Stan. No. Just say NO! Just reading this last post. Where does Podkolzin say he doesnt want to live in America.? Not arguing it just want to read interview/article. Loags i have only saw quotes that he said he didn’t want to come to North America until he was ready for Nhl. The way i look at it is name a russian prospect of his stature who has never come and played a few years at least. Any that don’t come seem to be more borderline types, money talks and Khl is hurting right now. ER, thinking the same and do not want to risk any chance for one of these Elite players when everyone of the is about the same. Which ever ones might/prob be better then the rest but their all going to be Elite Players. So we have to make sure we get the one we want and no short cuts by gambling. Not worth it when we have a top 3 quality Elite Player from the Hockey Gods. There preference by everybody here and elsewhere in who to pick. Pretty much the top 7? are Elite Players maybe some others scattered after. Cant go wrong unless the player doesnt ever play here. I ve read it elsewhere too, people saying that word for word that he said that. I with Ian that if Organization thinks its ok, I believe them and its ok. I would rather pick one of the 1st line centers with size or the top pair D guy. That way theres no concern/worry about anything. It makes me wonder though if people are spreading rumors in the media, to help, get teams to pass on certain players then pick them themselves. I don’t know the source but the rest of the post indicated he heard him say it which I took to mean he understands Russian. In any case I think there is enough smoke to believe there is a fire and that he isn’t anxious to come to America this summer which for me takes him off the list because even if he comes over next summer he will have a long transition year learning the language and getting comfortable with the culture and smaller ice surface, etc. If the choice was between the Russian Connor McDavid and a bunch of pygmies – then fine, take a chance and wait – but that isn’t the case. Cozens, Turcotte and others are all top notch players and pretty much we can’t go wrong selecting one of them. Even if they play Jrs or college and take a year to get to the Hawks – they won’t have the language, culture and style of play issues to deal with the way Podkolzin would. I’m with the rest of the crowd to avoid Pods if he doesn’t intend to come over quickly; however, so much smoke exists at this time of year that it’s much too early to take any of these quotes or reports as gospel. It could be that Pods is attempting to pick his location or just about anything. It’s possible that the best thing to hope for is the Rangers taking him. Russians like NY, I hear. Yea Im of a similar opinion. To be honest if he was saying he’ll be coming over after the KHL contract is up Id still say pick him. 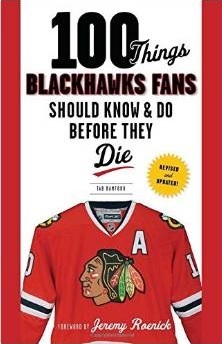 Chicago is going to take 2-3 years before theyre serious threat for the Cup anyways. But he’s not saying that like you posted there. But I will say dont go and play it safe and draft some player that looks to be a second liner. If you do that you might as well trade back down to 12th. Im seeing 8 or 9 names get tossed around so its very possible that one of them gets picked at 12th. I will also say that im doing a 180 on Bowen. Ill actually be choked if they draft him. Theres an incredible logjam in D prospects and the team needs a forward. Loags the articles i meant, referred to him not wanting to play in Chl but develop Russia, assume probably means Ahl too, could be why he signed a Khl deal fo 2 years. Podkolzin is just turning 18 in summer so still on young side. I don’t think the question is will he come over or not but rather might the Blackhawks target someone else regardless of when he comes. Because Panarin was hamstrung by the move… Just saying. The Russian factor is definitely a concern. I should qualify my previous criticism of his numbers that as expected for a young Russian he had limited ice time averaging about 12 minutes a game. I wouldn’t be too concerned with his current contract status. However I would be concerned if the potential is there for a Shalunov/Gusev/Radulov/Shipachyov type situation. That’s a hard pass. If it’s a Kuznetsov I’d wait…if there’s no doubt he is that player. Drafting for need is always a no no. But when it comes to D vs Center. I’m going to go with D (especially when this argument about Podkolzin…he’s a winger). Yes the Hawks have a ton of D prospects. But none of them posess what Byram has. I’m not saying they go that route. But if they can move 7 with some of those other D prospects, I’m not upset. I’d rather trade the pick than select a guy that may not show up for 2 years or maybe never. Just my opinion. Hopefully Stan feels the same. 2 years I’m fine with. Most players aren’t quite ready until then anyway. But if it’s “maybe when I start a family” pass. When the family starts it’ll be I don’t want to move said family. I would prefer Cozen or the dest available player …Byram. I dont trust Russian anymore…so unpredictable. But its not the case for every Russian guy. I know we have many D men coming soon but Byram seems to be the real good puck after Cozen…i would not be surprise iff the Ranger take him . Sorry for my bad english …? Panarin was undrafted in 2010 and signed with Khl and had a breakout year in 2014-15 & Bowman signed him. Size was why he was undrafted and didn’t sign until he was 23 in Nhl not because he turned down the opportunity to come over. Even then Bowman gave him out clause to go back if he didn’t make team because it wasn’t a given he could cut it in Nhl. I have read that he wants to come over when hes ready. Im fine with that. Toews was drafted 3rd overall and did a similar thing. He felt he wasnt ready and returned to University. At the end of that he played in the world championships and Shane Doan said he was ready. Joe Sakic also said he wanted to return to juniors for another season and joined Nordiques the following season. Someone said Datsyuk is on the SKA team. Thats great. He’ll be an awesome guy to talk to if hes there next season. Curious if he starts taking english lessons. @loags I’ve seen him say it in Russian and there are plenty of written Russian interviews online if you know where to look for. I can’t post links here, unfortunately. The problem even isn’t Pod’s contract. He literally said “he isn’t drawn to America,” that he doesn’t think there’s anything there that he doesn’t have in Russia. Not wanting to live and play in America is the bigger issue than his contract. He does admit that NHL is every player’s dream, but immediately says that isn’t drawn to America. So yeah, who knows, he might consider going there in future when he’s a “complete player,” but he also might not, considering that he doesn’t seem to have any desire to live in America right now. To me, the risk isn’t worth it. And he isn’t that insanely talented to take a gamble, IMO. American media way overhypes the kid. Most Russians have never even heard of him. Draft him in the second round if he’s still available. Ernie, lots of good posts. It does like the wise move is to pick Cozens or Byram. The gap between Pods and whoever you want to put next whether is Cozens or Byram is quite significant, he’s much closer to Kakko than Cozens or Byram are to him. He’s only 17 he has no idea what he wants to do with his life yet, he can say he wants to stay in Russia but he’s just a kid. If the Hawks have a good talk with him and guys in the KHL like Datsyuk and even other prospects like Kravtsov talk to him about how good it is to play in the best league in the world I don’t see him staying. Podkolzin is ultra competitive and I can’t see him wanting to stay away from the best league in the world for to long. If Barry Smith can use his connections and the Hawks have a good conversation and can be confident in his eagerness to get over to North America there should be no reason the Hawks don’t take him. Just think if you were in his place at 17 years old and KHL media asked you if you wanted to stay in the KHL. Keep in mind he’s playing on the richest team and a team that Vladimir Putin is involved with. What are you gonna say that you don’t want to stay? No way the Blackhawks take him if he stays in Russia the next two years. Not only the two year wait, but then needing time to become acclimated to our culture, learning English, and playing on smaller ice. Timeline for helping T&K is too long. PODKOLZIN : The best of the best , I see this player 4 times at Moscow he has ALL quality player. CHICAGO : Dont miss this player RIGHT . @WRAP April 13 2:01 pm. Many thanks for the Tallon article. Two years ago, when I was not as informed, I thought Tallon was a better GM than Bowman. Am already giving Bowman the nod over Tallon. If he makes some good drafting decisions, trades, and UFA signings this summer, it will be no contest. Bowman is clearly the better GM. Is there anything preventing the Hawks from interviewing Podkolzin? THE BEST BOBBY ORR PLAYER . THE NEXT BOBBY ORR GENERATION .